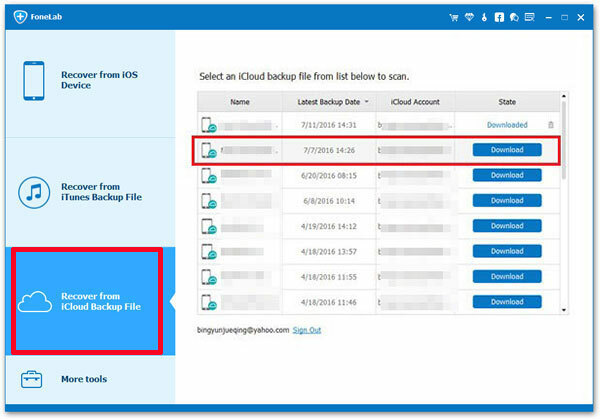 Knowing how to download iCloud backup data is a useful skill to have. Whether recovering lost data or ensuring backups are updated, access to these important files is imperative. Downloading backups can be done on your Apple devices. With iPhone Data Recovery however, convenient iCloud maintenance is taken to the next level. By following the steps given, you can download your files without difficulty. iCloud is at the centrla of data backup & restore for all Apple devices, including iPhone, iPad, iPod and Mac computers. However, the most important roles is to backup data on Apple's portable device. 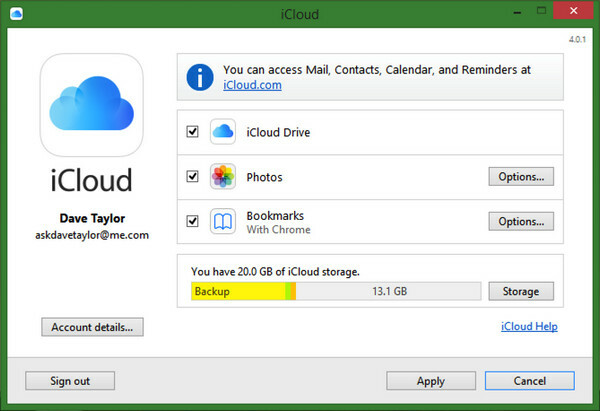 So If you want to download iCloud backup data to PC or Mac, the first step is to enble this feature on iOS device. However, the process is simple. Enabling iCloud feature can be done in the settings of macOS and iOS. For Windows, be sure to download the iCloud application on your computer first. Step 1: Ensure iOS on your device is the latest version. Proceed to Settings Menu, then General Tab, then Software Update tab for available updates. Step 3: Go back to Settings and select iTunes & App Stores to enable automatic downloads. An automatic downloads tab will be shown with apps, music, books, and updates listed. Obtain the files you need by sliding the appropriate switcher to the right (it should turn green). Step 4: iCloud is now set-up and will download backups to connected devices when given access to the internet. Step 1: Update macOS to the latest version if applicable. Software updates are accessible from Apple App Store. Step 2: Once updated, go to System Preferences on Apple menu, click iCloud and enter your Apple ID to turn on iCloud. For the services you prefer to enable, see list then select. Step 3 : To allow iCloud access to your photos, click Option button next to the Photos icon, choose iCloud Photo Library -> My Photo Stream -> iCloud Photo Sharing then click "Done". Step 4 : To give iCloud access to your music and apps, go to iTunes icon and select Preferences. Click Downloads and select Music, Movies, TV Shows & Apps then click "OK". Step 5 : iCloud is now set-up and will download backups to all your connected devices when your Mac is connected to Internet. Step 1: Set-up iCloud on your iOS devices first then download and install iCloud for Windows in your computer. 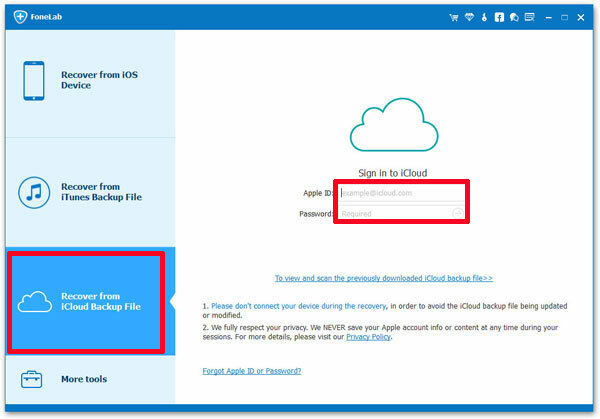 Step 2: Open iCloud on your Windows computer and sign-in using your existing Apple ID. Step 3 : iCloud services will be shown. Decide what you want to enable and click "Apply". Step 4 : Once iCloud Drive & Photos are enabled, new folders will be created for those files in Windows Explorer. By saving new files on these folders, saved data will appear on your Mac and iOS devices automatically. If you want to access iCloud data on PC or Mac, the first step is to turn on this feature on Apple device. After that, you have multiple options to download it to a local computer for backup. Afert testing 5+ third-party apps and programs, we tend to use iPhone Data Recovery as an example to directly download iCloud backup file to computer. It can be a Windows PC or Mac computer. Plus, the restore option is 10X flexible than the default iCloud application for Windows and Mac. Not believe it? You can check the steps below. Step 1: Click "Download" button save the installation file on a computer. Then follow the instructions to install it. Step 2: There are three recovery options within the program. At this time, please select "Restore from iCloud Backup File". 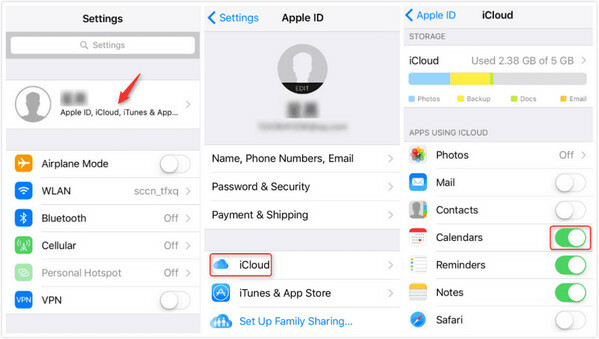 Now type Apple ID and password to login your iCloud account. Step 3: You will all iCloud backup listed on the main screen when successfully signed in. As you can see, there is "Download" button on the right side of each backup file. Click on it to start the downloading process. Step 4: You have to wait for a few minutes as the download takes time. It depends on how big the backup file it. 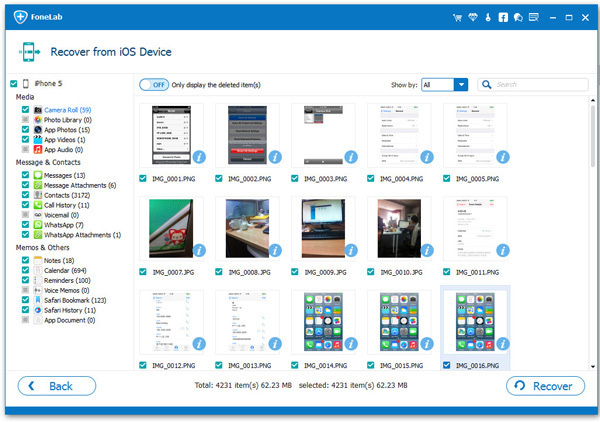 Once it is download, the program will extract all the personal data stored on iCloud server, including photos, messages, contacts and media files. Step 5: The items are listed in category. Now, select the one you wish to take out of the backup file and click "Recover" button to save them on PC or Mac. iPhone Data Recovery has two versions: the free and premium . The free version can only scan and display files on your device, but the option to restore them is unavailable. In this case, the premium version is advised. Once purchased, you have unlimited and complete access to FoneLab to download iCloud backup data. Since you now have copies of your restored files, you can opt to manually save them on an external drive or a backup phone for extra security. If you happen to lose them again for whatever reason, then you already know the drill. To download iCloud backup data will never again be complicated.